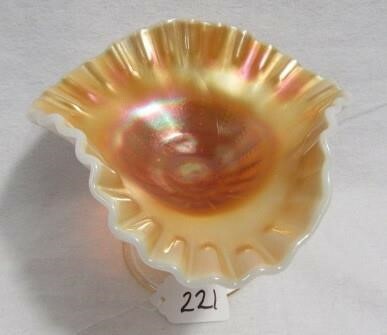 Known only in the compote shape, unique with its open stem. 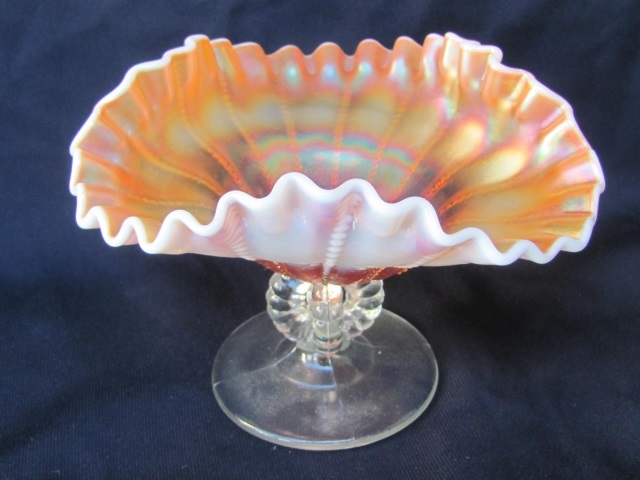 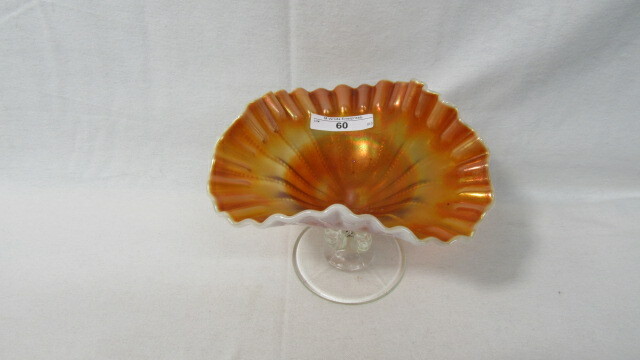 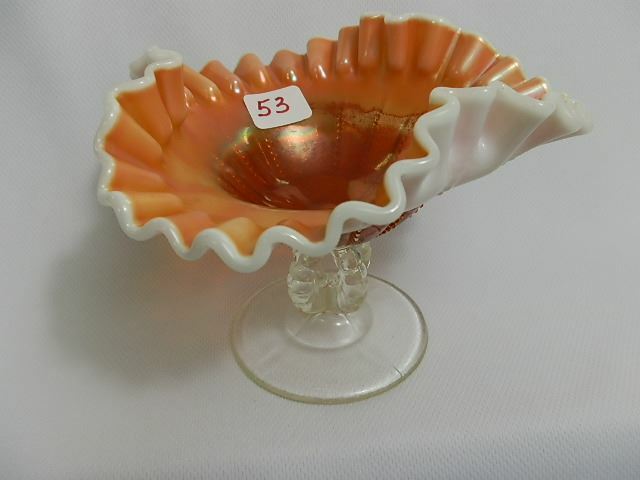 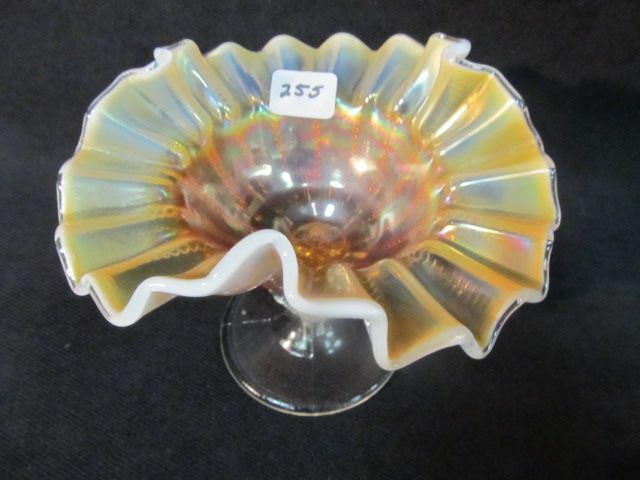 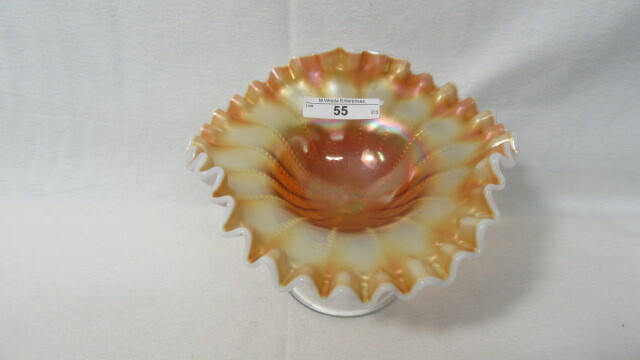 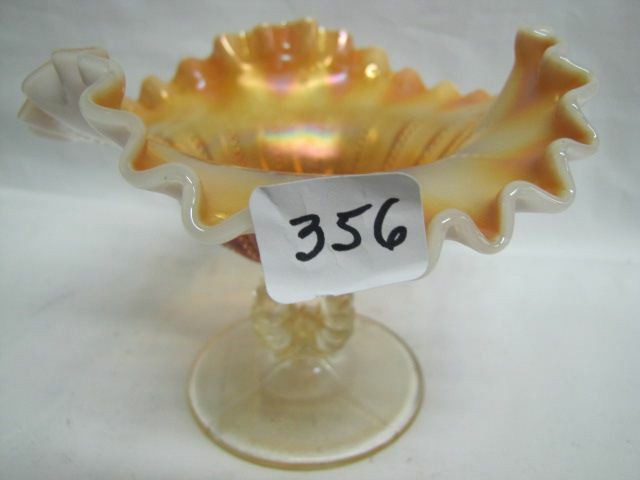 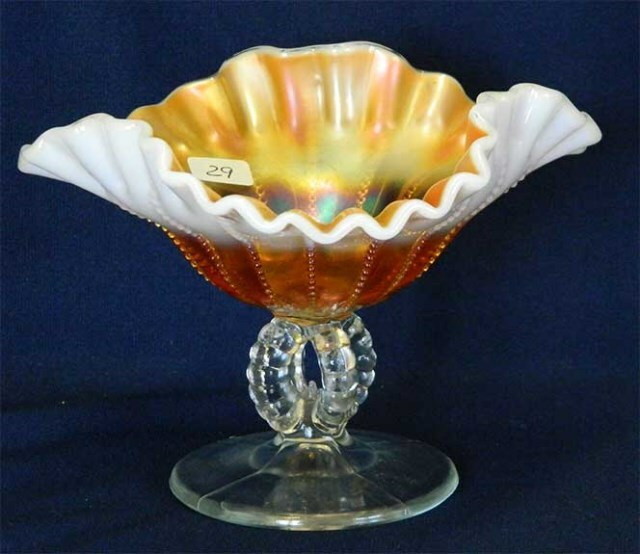 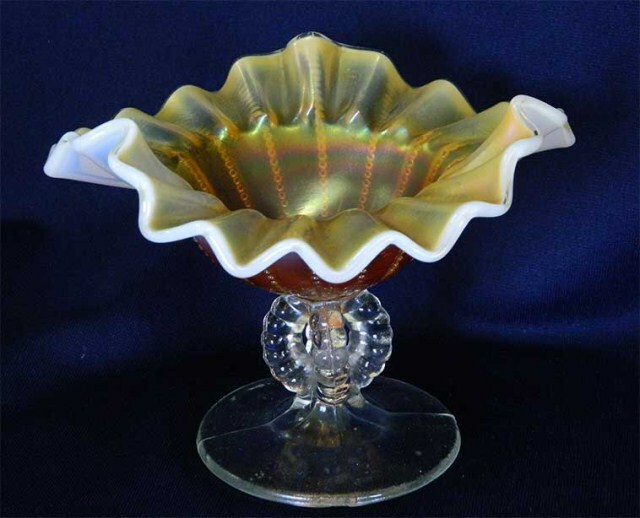 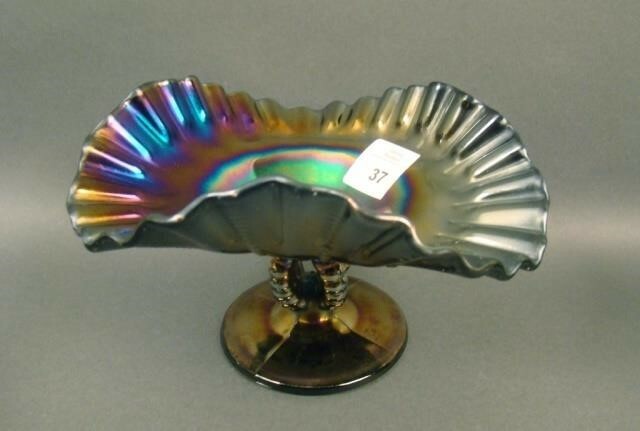 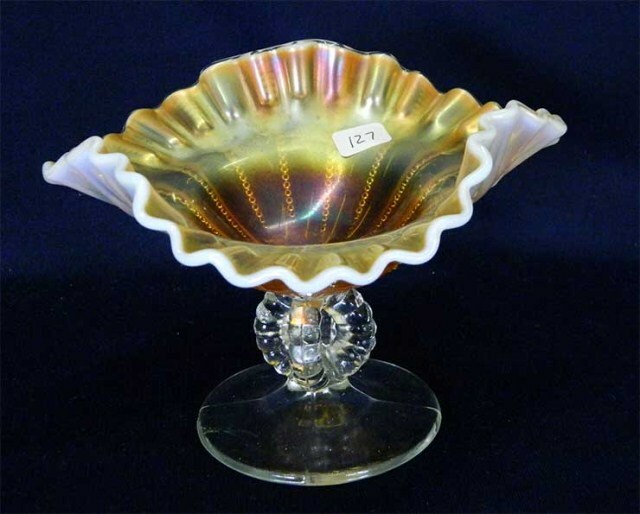 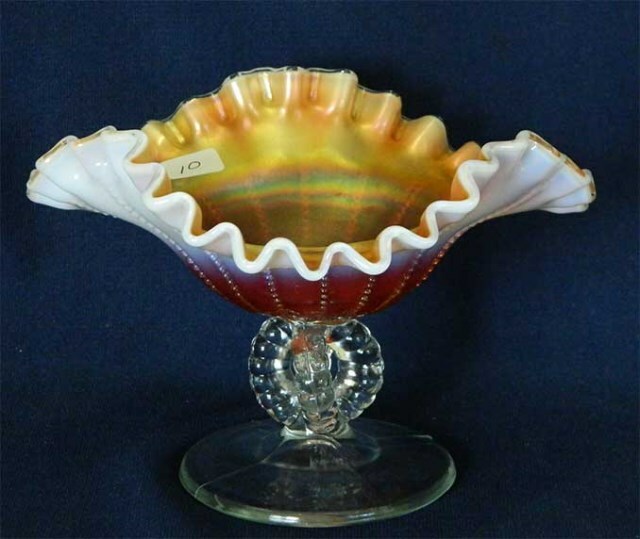 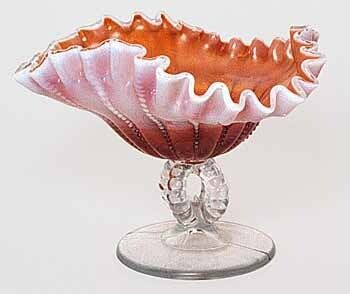 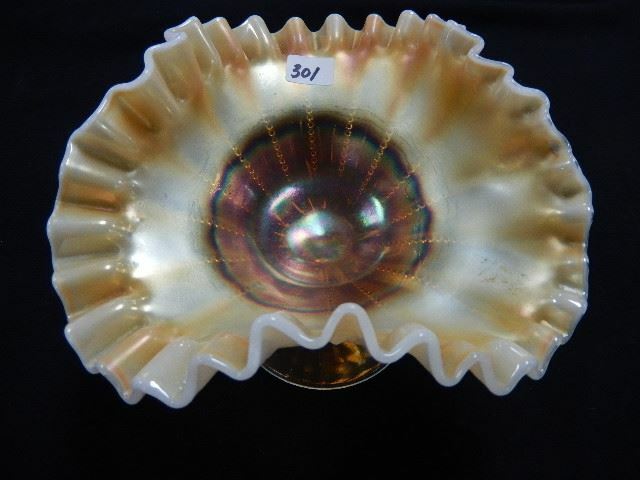 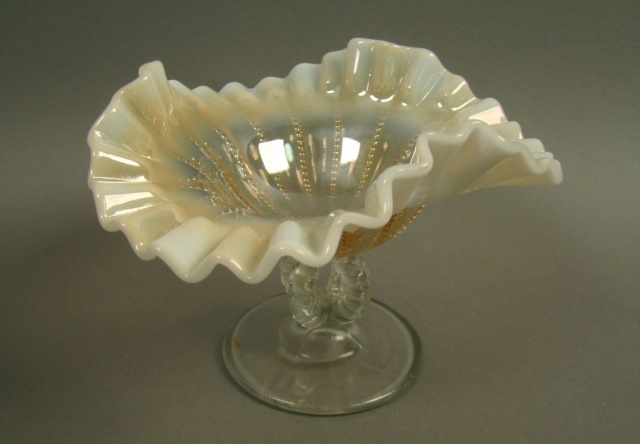 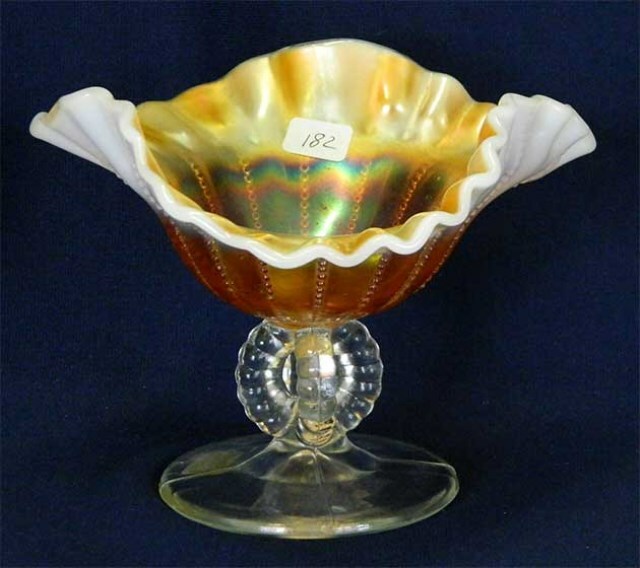 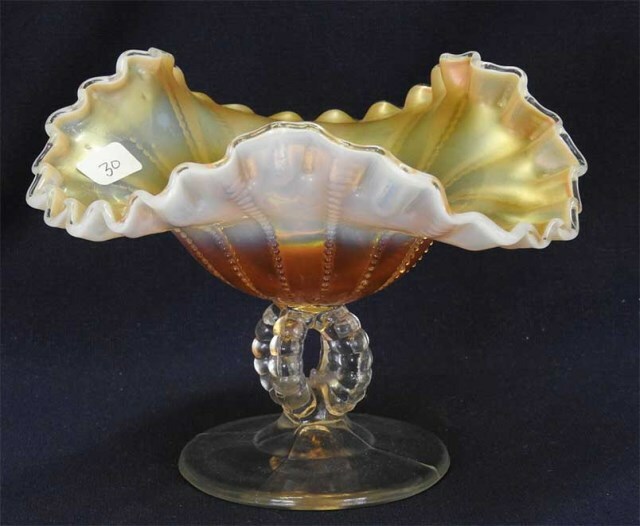 It was also made in opal glass prior to the Carnival era. 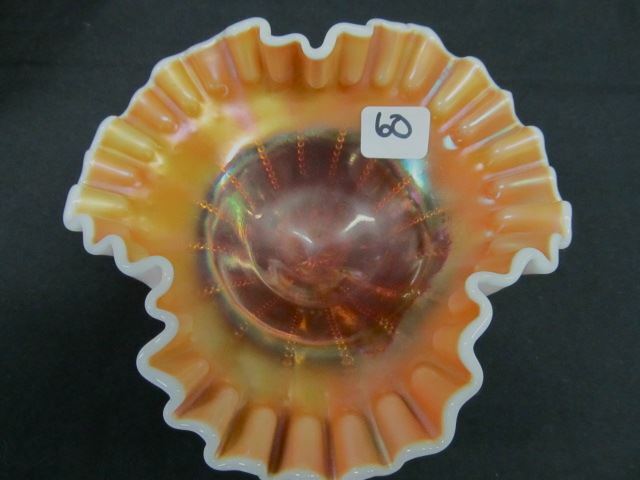 The pattern is sometimes called Open Opals. 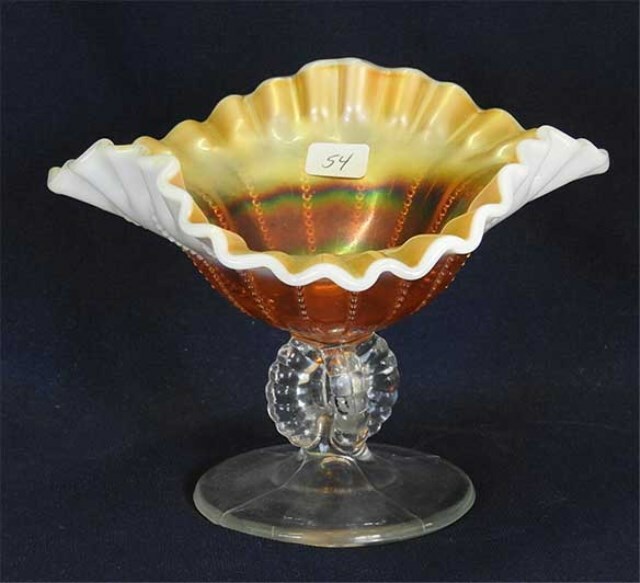 The tri-cornered compote with CRE (Candy Ribbon Edge) pictured above is the only reported shape but, other shapes maybe out there. 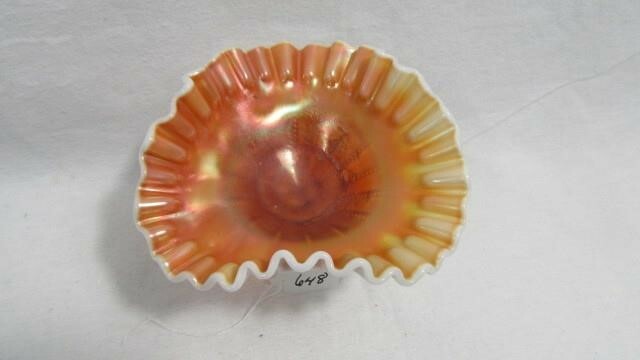 Rare in any color other than peach opal.